Can you cook anything with tequila ??? Not so, just drizzle it over, ... LINK, soit I still need grappa ! I'll try to find that recipe on the internet for you, I found mine in a book. Agree - bad very, very bad! What´s the name of this new tequila? 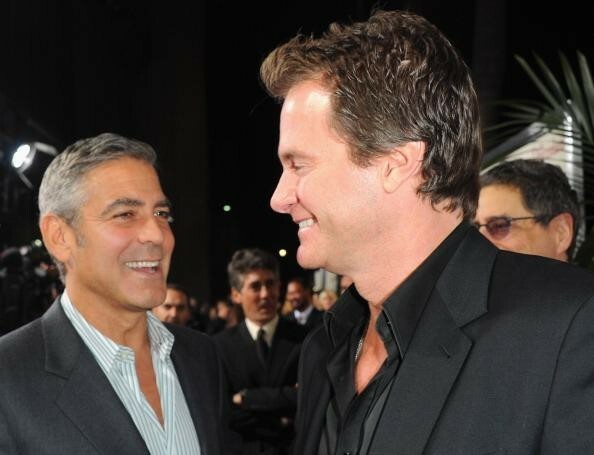 Actor George Clooney and business partner Rande Gerber are reportedly embarking on a US road trip to launch their new Tequila brand Casamigos. The pair first announced they would be making an entrance in the Tequila market in March last year, although details were hazy. Now according to reports Clooney and Gerber are embarking on a nationwide road trip to secure distribution for the brand. The pair are expected to visit LA, Las Vega, Miami and Dallas over the coming weeks ahead of a nationwide rollout later this month. Gerber, who founded nightlife companies The Gerber Group and Midnight Oil, launched Caliche Rum, a Puerto Rican rum brand consisting of four expressions, with Destileria Serrales’ Roberto Serralles across the US in mid-2012. The launch of Casamigos is however the first foray into the spirits industry for Clooney, who became the face of Martini in 2007 with a trademark moustache. Clooney is not the only celebrity to recently launch his own Tequila brand. Rapper Xzibit released his own creation Bonita Tequila with Bonita Spirits in November. Other celebrities to have launched spirits recently include former basketball player Shaquille O’Neal, chef Heston Blumenthal, and music producer Timbaland. Check out our Danny Ocean Cocktail: Casamigos, lemon juice, agave, @Heering Cherry Liqueur & pink grapefruit juice. I like the label....very ! So funny Katie...I am not sure I like the photo either. I never thought to check for a twitter page for the tequila, seeing as he hates social media. Oh and I was thinking I didn't care for the logo or the label, I find it a bit bland. I think I understand why they chose the type face---like a typewriter, but the logo seems bland to me. JMO. I am hoping that after they obtain distrbution they will announce that some of the money goes to charity or Satellite Sentinel project. Otherwise, I am not sure of G's motivation for doing this type of commercial venture that trades on his name (other thanbeing a good friend helping RandE out ). If RandE did the rum on his own, why did he need G for the tequila? Could there be a perfume/cologne on the horizon? What would it be called? Katiedot wrote: And one more! Oh wow Katie, I think I have to agree with you! Maybe if they hadn't sat so close to each other! LOL! Casamigos is an Italian word? Could mean house friends? And Katie is right - Rande is looking rather lovingly at George who looks like he's enjoying the moment. LOL Careful guys, you don't want to bring up old rumors. It's the lovey-dovey expression on Rande's face that does it for me. I know it's meant to be two blokes enjoying masculine company at home (hence casa and amigos) but it just looks . . . odd. There was a famous (in the UK) marketing failure of a brand of cigarettes (forgotten what brand) that's used as a teaching tool in marketing classes. The picture they used was of a man standing by himself, smoking, and the strapline being "You're never alone with a [this brand of cigarette]". It bombed because people just didn't go for the lonely man image. IIRC, it was some time in the 1960s and the image reminded people of a gay man cruising for business (at that time it was illegal). Same with this. I know there are some fine tequilas out there, made for sipping like cognac, but that's not really the main tequila image. Not sure if this is going to work. There were some fabuous pictures taken of George when he was promoting his Las Vegas hotel, sitting in a bar with a group of people. A shot like that would work better IMO. If this is the reaction of his fans on this site -people who in general do not believe he is gay-- what are other folks going to think of this marketing photo? I agree by the way--there should have been more people in the picture. RandE's male model looks and the almost touching knees do not give off a "guys being guys" vibe. Ok folks, what I'm going to do is split this thread. The pictures and sightings of them will go into separate threads (one thread per location) and this thread can be for general info about the tequila. Makes sense? Bear with me for a moment while I sort this out. 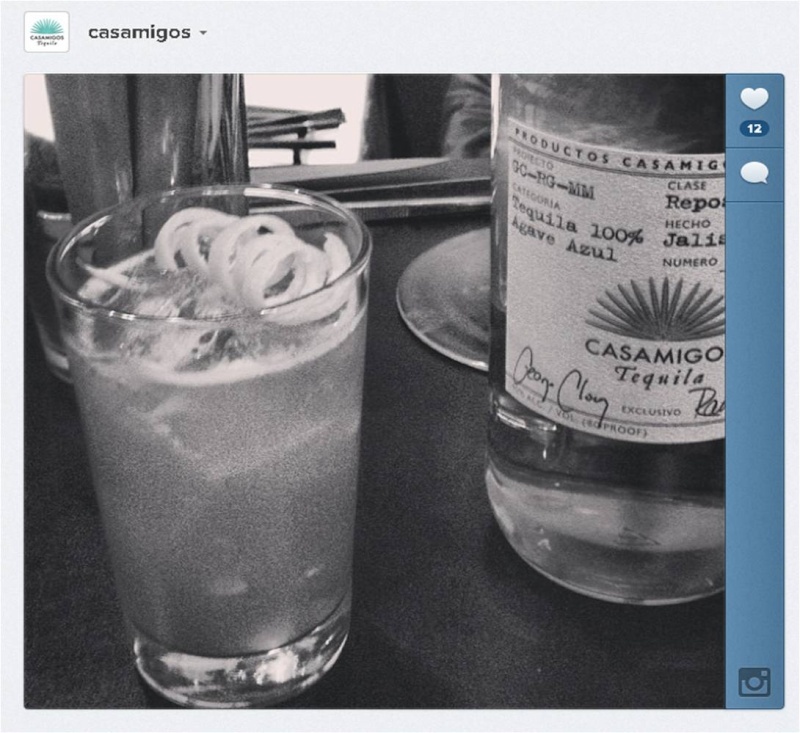 Does anyone want to explain to me why the hashtag for Casamigos is #itcouldhappen ? Erm, maybe it's been a long time in the planning? Also, just funny to note that the first two people @casamigos followed on twitter were Cindy Crawford and Stacy Keibler. Interesting, but still not sure I like it. But then again I am not sure I like the label either. I know he feels he needs to put his name on it for promotion but the color seems bland....and again this is jmo but it reminds me of celebrity perfumes. It may be good but does it having staying power? Katie, as someone who's a techie idiot (or you could say, twit!) does that mean Cindy Crawford and Stacy Keibler were following them? Or vice-versa? party animal - not! wrote: Katie, as someone who's a techie idiot (or you could say, twit!) does that mean Cindy Crawford and Stacy Keibler were following them? Or vice-versa? 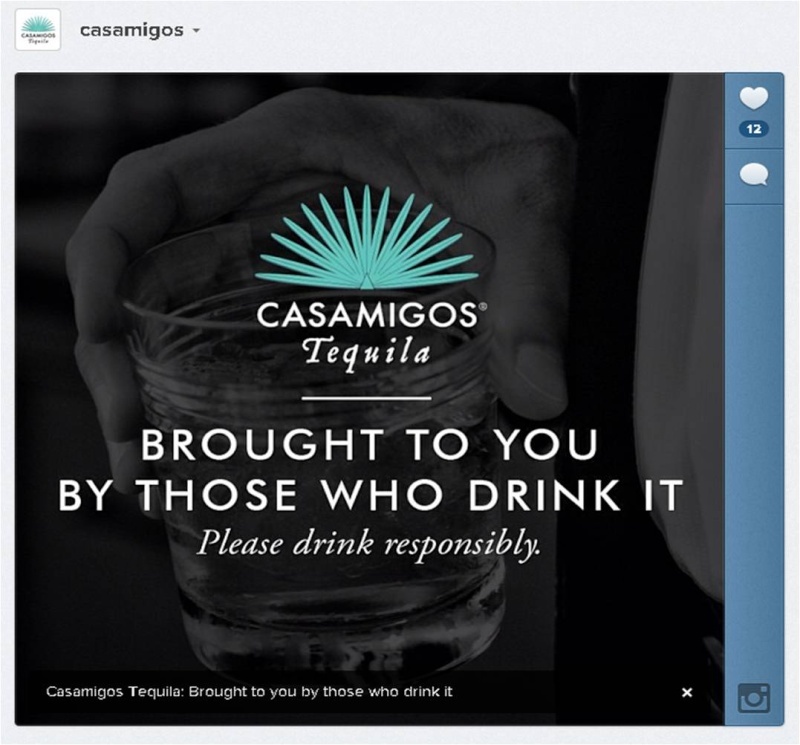 It means that the Casamigos tequila twitter account is following them - and that they were the first two people Casamigos chose to follow. So far neither Cindy nor Stacy are following back, but I guess it's just a matter of time. Their facebook page was started in May 2012 so this has been a long-time project. 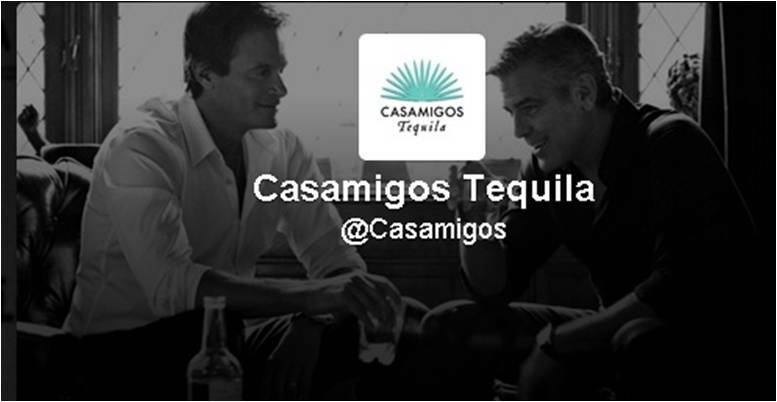 As far as I could tell neither of them is following Casamigos. I wonder who is writing them---probably the publicity dept. They are done through hootsuite. Definitely not! It'll all be done through their PR team and maybe Mr Gerber has access. I don't think any of this has anything to do with George. We had an agave once in the garden, ... for the flowers ! cindigirl wrote: Casamigos is an Italian word? Could mean house friends? CindiGirl, it's Spanish. Casa = house Amigos = friends. So, you're right in the translation! Just copying your two posts into this thread as your comments may get lost in the rush of pictures etc. watching wrote: Has G ever done this before? Been part owner in something and be the one hawking it using his image? I can't think of anything but I could be wrong. This whole tequila thing seems so out of character for him to be doing. The ad, the signature on the bottle, etc. It does look to be a bit of a money grab (and I don't know why I think that cause we have known about this for ages). I know he has the normal endorsements using his image to sell someone else's product and he has invested in projects (I assume like his buddy's restaurant in LA and the failed to happen casino) and whatnot, but has he been involved in a product before from creation to spruiking it to the masses where the whole point of the excercise is profit? I am so not digging the bottle and the label. It looks like bottled water instead of what I assume will be pricey tequila. When I think of tequila, I always think of those short bottles with the wide base. as you're gonnar to feel aaaall day"
When he says it, it's much funnier than reading it ! I hope those napkins will be sold for the Sat fund too ! Can't we just steal them from the bar? 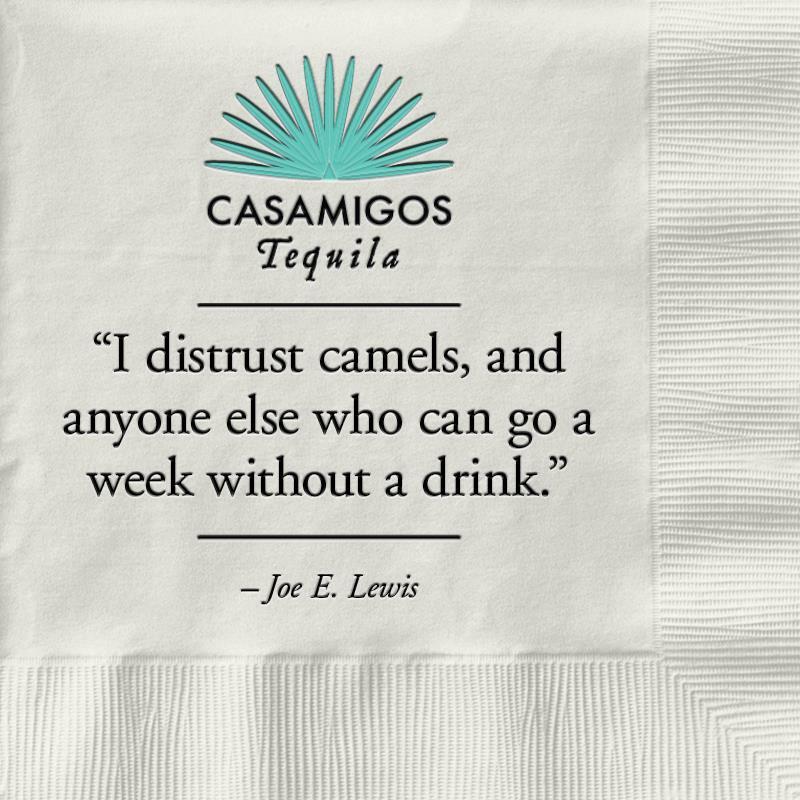 Casamigos tequila is a small batch, ultra-premium tequila made from the finest, hand-selected, 100% Blue Weber agaves, which are grown in the rich, red soil and cool climate of the Jalisco Highlands of Mexico. 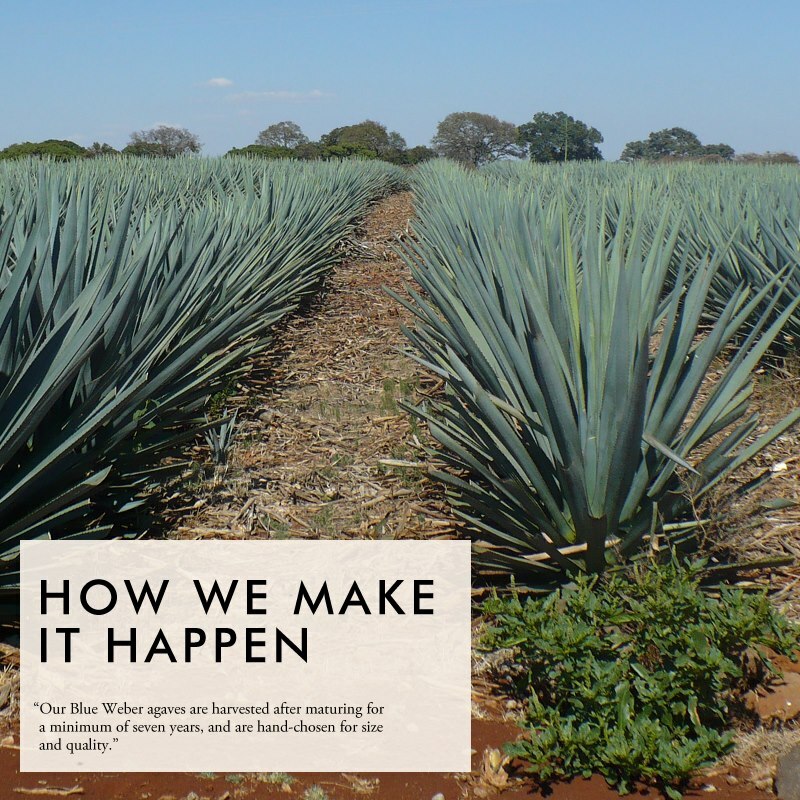 Our agaves are harvested after maturing for a minimum of seven years and are hand-chosen for size and quality. Our Master Distiller uses a proprietary yeast blend to ensure the most refined tequila. Following that is a slow fermentation process that takes 50% longer than is typical in the industry, resulting in a deep, rich flavor. Finally, we use natural filtration from our own wells, which is purified and distilled to ensure no change in the tequila profile. How much money does a person need before you have enough for a lifetime? lucy wrote: How much money does a person need before you have enough for a lifetime? All of George's profits go to his Satellite Sentinel project. I know we already talked about this in another thread but not everyone reads every thread and I don't want to start off another round of questions here. Thanks Katiedot, I don't always read everything, just latest comments. They're going to sign every bottle they sell? On Monday night, George Clooney was in Dallas, Texas promoting his new brand of tequila called Casamigos. The actor is currently on a road trip with partner Rande Gerber touting their personal brand of tequila to restaurateurs and liquor store owners in big cities like Miami, Las Vegas and Los Angeles. Clooney's entrance into the spirits business is a venture with friend Rande Gerber and real-estate mogul Michael Meldman. 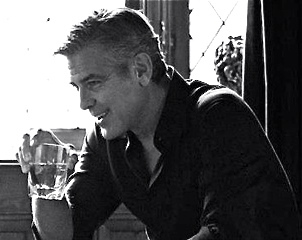 They wanted to develop a "warm, rich tequila whose taste we didn't have to cover up with salt or lime," says Clooney. The intent was to make it just for friends, but it was so popular that they decided to launch it to the general public. 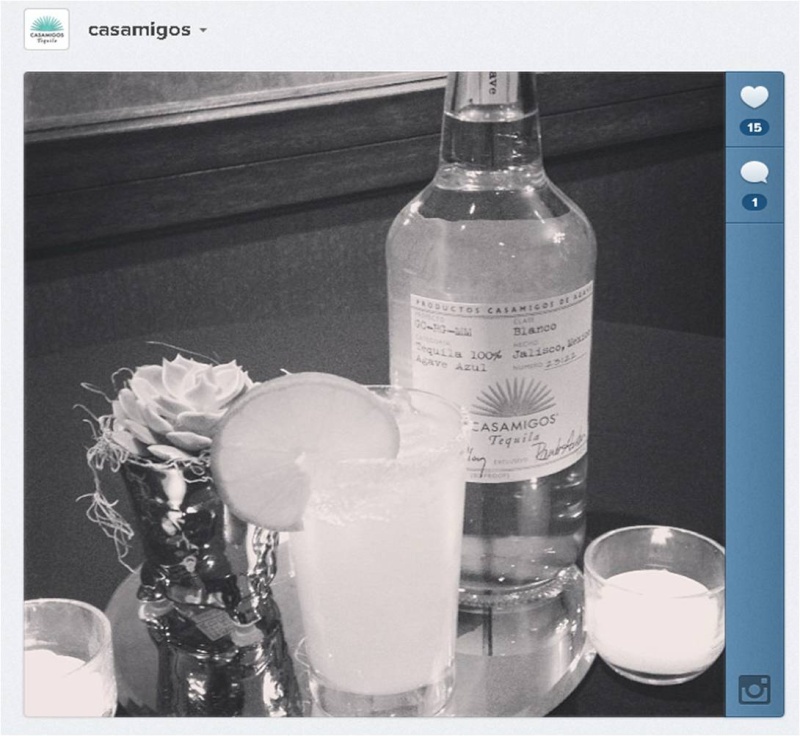 Casamigos will debut this Spring. Clooney and his partners are working with a distiller in Jalisco, Mexico. 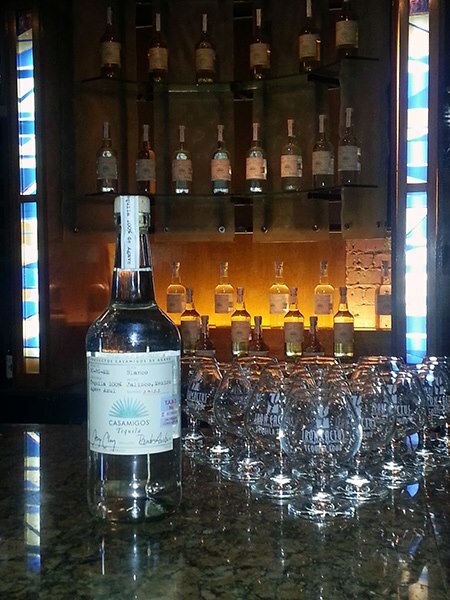 The Casamigos partners vow to taste and approve each batch of tequila. Clooney says that the name Casamigos, meaning "house of friends", is taken from the name of the two houses that he and Rande vacation in next to each other in Cabo San Lucas. The tequila bottles may soon become a collector's item. Vanity Fair reports that Clooney and Gerber will be signing and numbering every bottle they sell. So far they are doing well. Let's see if there is longevity. Selling out on day 1, means ordering a ton more cases. Our distillery has amped up production & Casamigos will ship soon!